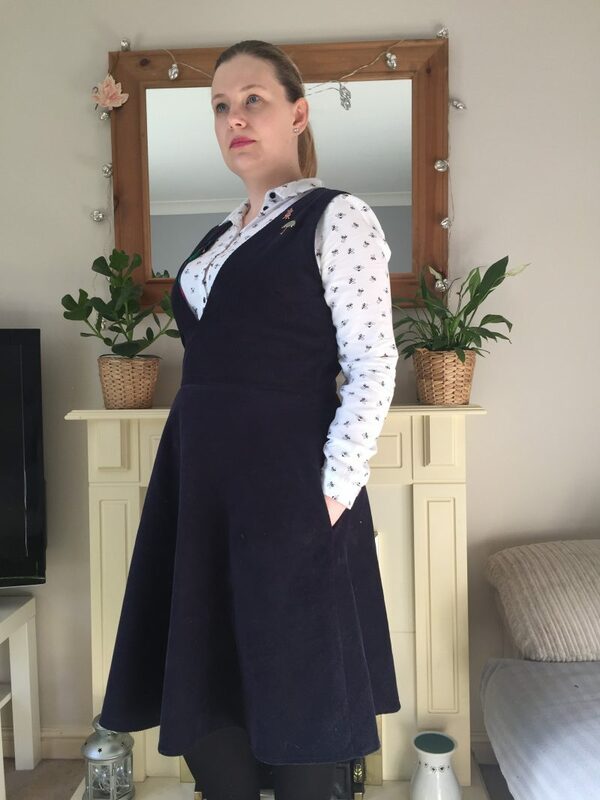 The Pinafore – Love It or Hate It? As you know, I’ve already made three tops and a turtleneck using this pattern. I thought it was high time that I actually sewed the dress which I bought the pattern for! 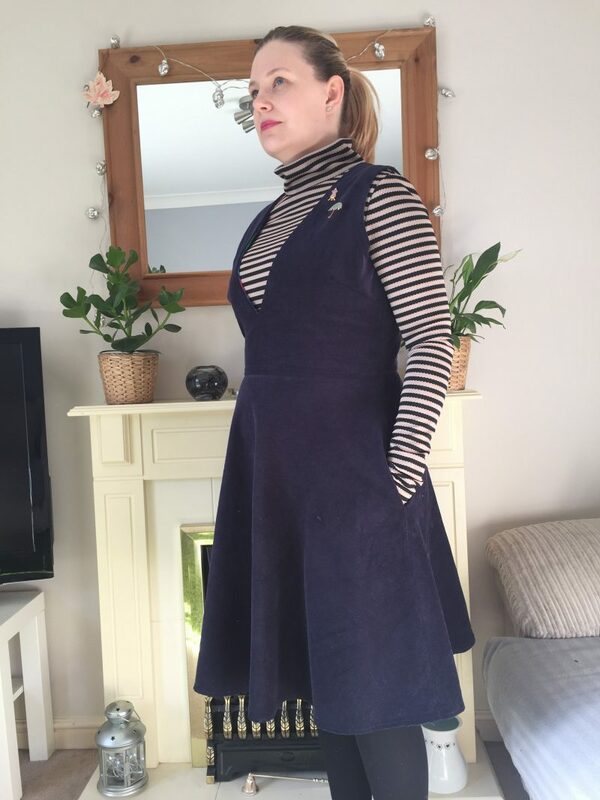 Inspired by all of the pinafore dresses I keep seeing, I bought navy blue corduroy to make this dress. 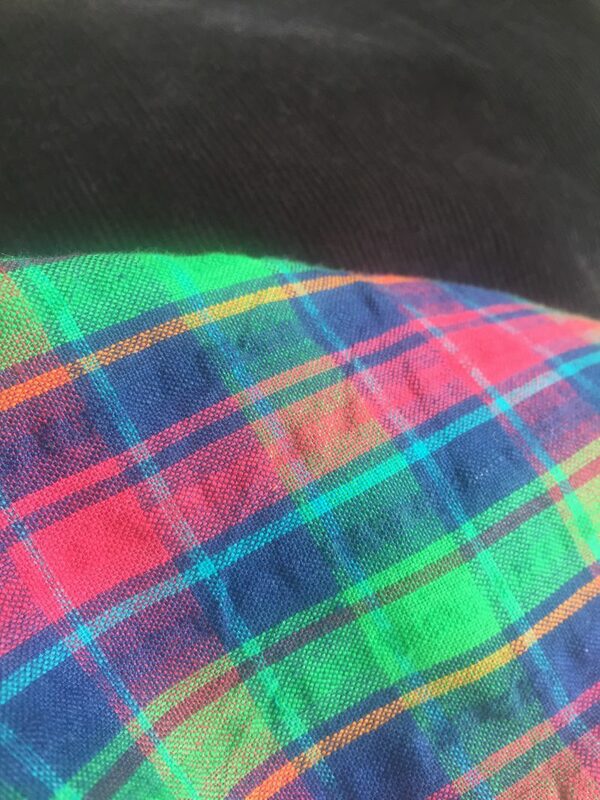 The lining is some plaid I had already. I wanted it to be the heart of my planned capsule wardrobe, so navy blue will go with everything! My plan was that I will be able to wear it with t-shirts, shirts and more. What I like about this pattern is that it’s a fit and flare silhouette, which I know suits me. It also has bust and back darts, meaning that the fit will be even better on me. Ooh, and did I mention pockets?! After measuring myself, I cut a pattern size 14. The dress is comprised of three bodice pieces, three bodice lining pieces and three skirt pieces. It zips up at the back and has pockets. The sewing of it didn’t really take very long as it’s an easy pattern to follow. If you’ve ever sewn a lined bodice before, you’ll find this very simple. I did bits of sewing on this here and there, so I’m not entirely sure how long it took. It wasn’t more than a few hours though. I’ve been able to fit in 20 to 30 minutes of sewing before school several times over the past fortnight. We started getting up 15 minutes earlier and, somehow, once we’ve all got dressed and had breakfast, we’ve got up to an hour to spare. The maths of that doesn’t make sense to me! Despite the fact that I hate getting up in the morning, I am happier that we’re far more organised. It’s been pretty productive being able to do a bit of sewing almost every day too. This dress is everything I wanted it to be. It’s definitely a contender with my maxi dress for Most-Favourite-Thing-Ever. I’m so happy with how it turned out and it does go with almost every top that I already have. I love that I can dress it down with t-shirts, or I can wear it for work events with a shirt too. After I finished it, I held it up and though “that’ll never fit”. But it does and, actually, I could probably go down at least half a size in the bodice. I have my usual issue of a bit of gaping around the neckline, but as the front plunges so much it’s not so noticeable. I love that I can wear this like a pinafore dress with layers, but that it’s a much better style for my shape. 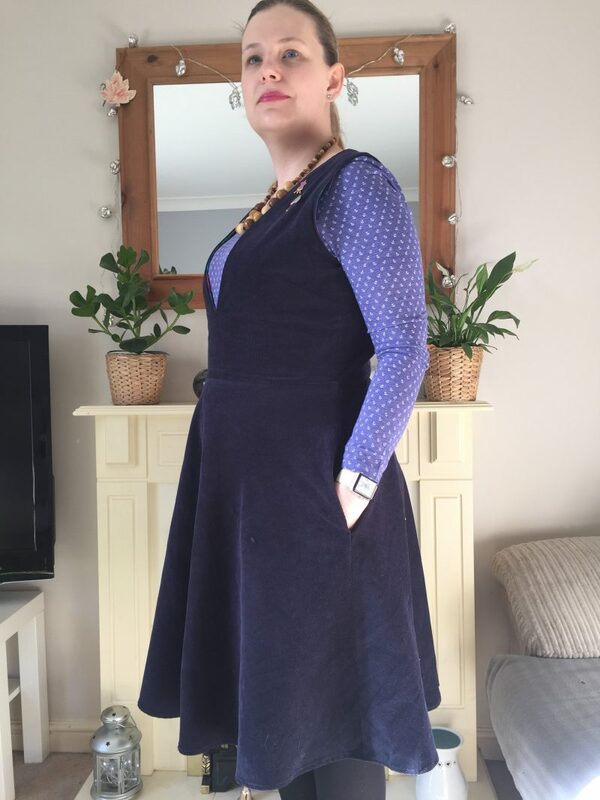 This isn’t the last Simplicity 1325 dress that I’ll be making this year. It’s such a versatile dress that I’d definitely get plenty of wear out of another as well. There’s even more Simplicity 1325 coming this way, so I’m sorry (not sorry) if you’re sick of this pattern! I’ve got a blue and white long sleeved top to make and I’m going to have a go at the jacket too. Don’t worry, I’ll be moving onto some other #2018MakeNine choices soon; but I’m pretty happy that I’m two garments down so far! My newsletter goes out this week, have you signed up? Next Post We’re Getting Married!